Two weeks ago, members of the New Breed team made their way across the country to attend Salesforce's annual conference, Dreamforce. This year more than 160,000 customers and partners from across the globe went to San Francisco to celebrate the growth of one of the oldest and most popular CRM softwares. The event focuses on educating, inspiring and entertaining its thousands of attendees. Sessions ranged from hands-on training for new platforms (The Lightning Experience and Salesforce IQ), best practices and development guides to exploring the future of technology. Salesforce's new training platform, The Trailhead, was also unveiled to attendees. To top everything off, Salesforce knows how to throw a party (or two or three) and hosted The Foo Fighters and Stevie Wonder as amazing musical guests. Wish you could have been there? In today's post, I'm going to recap Dreamforce '15, from keynotes to new product releases. The Mascone Center and surrounding hotels (and movie theaters) became the nucleus for all things Salesforce. Via everything from partner cafés to street vendors, the whole area had some connection to this year’s conference. The conference layout was set up so all sessions were within a 15-minute walk, and each of the main buildings were laid out to have different themes: Mascone North had the Partner Expo, Mascone South included the keynote stage and Cloud Expo, and Mascone West was packed with both the Customer Spotlight Expo and the new Trailhead experience (more on that later). The quad that connected these three buildings hosted lunches and served as the community-service center, where each day different initiatives were hosted by the Salesforce Gives campaign. Each session was crafted to inform you about how you can improve your business processes and implement different features of the Salesforce platform. My favorite sessions were crash courses on Salesforce development. I highly recommend them for any administrator, since understanding the code that runs your platform is essential in troubleshooting issues and setting up nonstandard business requirements. Want to watch the Keynotes for yourself? This was the most fun part of Dreamforce. Salesforce has created a new resource for training prospective administrators and developers in the platform. Previously, you had to pay for Premier Success support to have access to most of the training classes. Now Salesforce has wrapped a lot of this material into a gamified site that gives you points for completing challenges and growing your Salesforce skill sets. At Dreamforce, presenters recreated the website in Mascone West. Plastic trees and wooden lodges were strewn about the conference hall to evoke nature and help people reminisce on their times at camp. As you learned more about Salesforce and completed related challenges, you were awarded with stamps and badges that you could trade for prizes. This new immersive experience is a great training tool for the foundation of Salesforce's capabilities. Sign up for free! This was Salesforce's big reveal: an extension of the popular Salesforce1 platform on mobile. 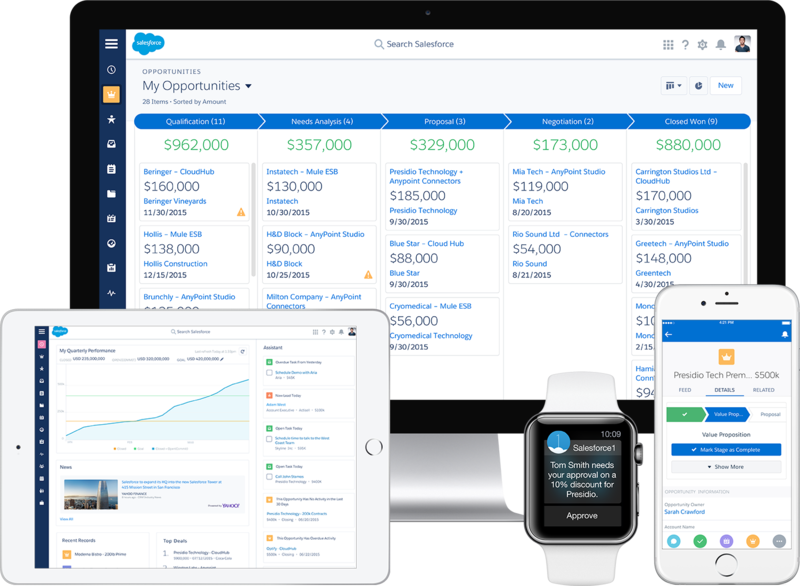 Salesforce Lightning is a welcomed update to the eight-year-old desktop Salesforce UI. The new interface is not only clean, but also very dynamic; you can reorder and create components that can be moved and resized anywhere on the page. 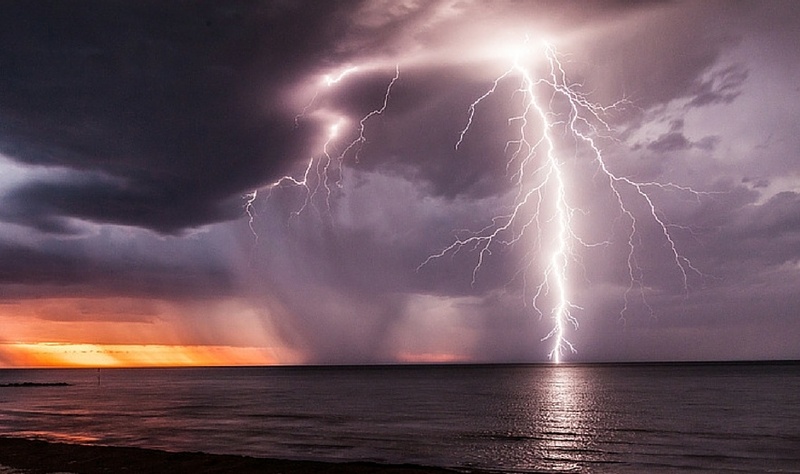 At this point most customers can only access the new Lightning from their organizations' sandbox, but they should be able to implement it on their production sites starting in October. In 2014, Salesforce acquired RelateIQ and rebranded as SalesforceIQ. There are two new solutions: SalesforceIQ for small business and the SalesforceIQ for Sales Cloud. Both offer a similar experience, where an extension is placed on your browser from which you can gain additional insights on leads and customers by linking it to your CRM. SalesforceIQ for small business offers a desktop CRM platform for organizations with 0–50 employees. It offers a competitive pricing scheme to entry-level sales and service-cloud subscriptions. Overall this new product is directly competitive with HubSpot’s Sidekick and the HubSpot CRM. SalesforceIQ offers some additional insights by using keyword research to look through your mail and prioritize what leads or contacts need to be recontacted. One of the final announcements was the addition of several industry-specific platforms. The introduction of the Health Service Cloud and Financial Service Cloud display Salesforce's ability to narrow its technology and refine it for specific industries. During the main keynote, Benioff brought on Laura Esserman of the UCSF Medical Center to talk about the Athena Breast Cancer Network and how it is using Salesforce technology (specifically the new Health Service Cloud) to gain insights in the battle against breast cancer. Finally Benioff and Parker introduced Thunder, the new IoT platform to help meld technology and service into a managed platform. Overall, this year's Dreamforce was packed with product innovation much of which will be utilized by Salesforce's more than 150,000 customers. Did you attend this year? Leave your thoughts and takeaways in the comments below!